With 252 degree-granting postsecondary institutions across the state, almost three times the national average, Texas is well-positioned to offer interested students a diverse variety of psychology schools to choose from. In fact, a psychology degree is among the most popular degrees granted in Texas and the state ranked behind California and New York in 2009-10 with 5,465 bachelor’s degrees in psychology granted according to the Integrated Postsecondary Education Data System. IPEDS also found that Texas granted 1,321 master’s degrees in psychology, which trails only California, New York, Arizona, and Illinois in that category. Of course sheer number of degrees granted doesn't mean that Texas is any better than other states when it comes to psychology education, but it does mean that students have a virtually unmatched number of options to choose from when deciding where to go for their psychology education. Despite its size and breadth of postsecondary education options, Texas is a relatively affordable place to attend college when you compare it to other states at a national level. The average annual cost of enrollment for a full-time student in Texas in 2010-11 was $14,585 for an in-state student attending a public school, and just $31,674 for students attending a private university. Those numbers seem reasonable when compared to the rest of the country, but that doesn't mean spending $14,000 is something that should be taken lightly. With so many options for institutions and different degrees, students should make sure to do their own research and inquire about tuition costs with each individual school before making a commitment to enroll. With so many options, we thought we would try and help out by highlighting a number of popular and prestigious psychology schools in Texas. Pointing them all out wouldn't help anybody, so instead we chose schools near the state’s four largest cities – Houston, Dallas, San Antonio, and Austin. Realize that these will only be a sampling of the psychology schools, degree programs in Texas and students should conduct their own research before making a final choice. One of the largest cities in the country, Houston has a wealth of psychology degrees and employment opportunities for interested psychologists. There are a number of reputable psychology schools in Houston including nearby Texas A&M, Rice University and Texas Southern University, all of which have respected psychology programs. In fact, Rice has one of the most prestigious psychology Ph.D. programs in the country. Of course the most obvious choices to consider are the four universities – University of Houston, University of Houston-Clear Lake, University of Houston-Downtown, and the University of Houston-Victoria – that make up the University of Houston System. The Cougars have a prestigious clinical psychology program and excellent psychology PH.D. program as well. The other three universities all offer accredited and respected degrees in psychology. There is also national education provider the University of Phoenix, which offers psychology degrees and has a campus in Houston. With a population of more than two million, it should come as no surprise that Houston has a large population of professional psychologists and plenty of potential employment opportunities within its psychology community. As of May 2011, the U.S. Bureau of Labor Statistics reported that the Houston-Sugarland-Baytown metropolitan area employed more than 2,000 psychologists who made an average annual wage of between $63,910 and $89,240 depending on the specialty of the psychologist. Needless to say, the psychology industry in Houston is a large and exciting opportunity for recent psychology graduates looking to start their careers in Houston. Read up on the must take psychology professors in Houston below. Despite being the second-largest city in the entire state of Texas, San Antonio doesn't have as many well-known psychology education options as its less-populated northern neighbors Dallas and Austin. It also, somewhat surprisingly, has fewer employed psychologists than Dallas as well. Nonetheless, San Antonio is a bustling cultural hotspot in Texas and worthy of consideration for students looking to study psychology. The University of Texas-San Antonio is the city’s largest university and it offers psychology degrees to its students, as does the much smaller and private Trinity University. Farther to the South are Texas A&M-Corpus Christi and the University of Texas-Pan American, both of which have well-known psychology programs for interested students. The University of Phoenix also has a campus in San Antonio for students interested in a psychology degree from a national education provider. It may not have as many employed psychologists as some other big cities in the state, but the San Antonio-New Braunfels metropolitan area still employed 780 professional psychologists as of May of 2011 according to the BLS. Those psychologists earned an annual average wage of between $72,930 and $84,410 depending on the specialty of the psychologist. If you aren't a clinical, school, or counseling psychologist, San Antonio has an especially high number of professional psychologists that aren't of those specialties. 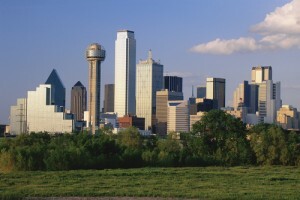 Dallas may be third-best in the state when it comes to population, but when you consider nearby Forth Worth as part of the metropolitan area as the BLS does, the number of psychology schools in Dallas and the number of employment opportunities for professional psychologists in Dallas grows markedly. If you are looking for prestigious clinical psychology programs, the medical center at the University of Texas-Southwestern, the University of North Texas, Baylor University, and nearby Texas Tech all boast programs that stack up with the best around the country. There are also universities such as Southern Methodist University and Texas Christian University that may not claim the same prestige but still grant a good portion of psychology degrees in any given year. Also, the University of Phoenix is a national psychology program provider with campuses in Dallas and might be worth checking out. As for employment opportunities for aspiring psychologists, the Dallas-Fort Worth- Arlington metropolitan area has plenty. According to the BLS, in May of 2011, the area employed more than 1,500 psychologists in varying disciplines and those psychologists were making an annual average wage of between $71,660 and $84,020 depending on what type of psychology was being practiced and where they were employed. The area has become one of the most popular places in the country for transplants from both coasts and its psychology industry will only continue to grow as more people flock to the area. Only in Texas will you be able to visit the state capital and only be visiting the fourth-largest city in the state. Unlike its aforementioned neighbors, Austin doesn't boast a population of more than one million people, but it is home to one of the top public institutions in the entire country and a healthy amount of professional psychologists of all different backgrounds. The University of Texas-Austin is one known around the world and its psychology program is no different. 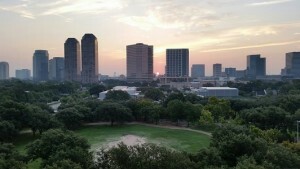 The home of the Longhorns dominates the postsecondary education scene in Austin, but other options for psychology degrees in Austin include St. Edward’s University and Austin Community College. Further South is the University of Texas-San Marcos and its psychology degree program, and if you are considering a psychology degree from a national provider, the University of Phoenix has a campus in Austin. The city is also becoming more popular by the month and that has led to a thriving local economy and the psychology community is no exception. According to the BLS, the Austin-Round Rock-San Marcos metropolitan area employed 720 professional psychologists, who earned an average annual wage of between $56,490 for clinical, school, or counseling psychologists and $86,640 for all other types of psychologists. That represents a lot of opportunity for aspiring psychologists looking to start their careers in Austin. Texas is one of the largest and most spread out states in the country, which means that fully online psychology schools in Texas are welcome because of the flexibility they represent not just in terms of advancement and scheduling, but also in terms of eliminating geographical obstacles for students. A number of universities in Texas have recognized this opportunity and while few offer completely online psychology degrees, a good number offer fully online psychology students for either enrolled students or professionals looking to expand their skill-sets. One thing you need to decide before choosing a psychology school is what sort of psychology career you wish to pursue and what sort of degree that career requires. Bachelor’s degrees in psychology are popular and online courses in psychology will help you move toward that degree, but those degrees don’t qualify you to become a licensed psychologist in Texas. If you want to be a licensed and practicing psychologist you will need to complete your master’s degree at the very least. In fact, according to a survey from O*NET Online, 84 percent of respondents thought clinical psychologists needed a doctoral or professional degree to work in the field. Online psychology classes will help you move towards those degrees as well but they won’t be able to substitute for on-campus learning at some of the places. The University of Texas-Permian Basin offers online degrees in psychology while the University of Texas-Brownsville, the University of Texas-Pan American, and the University of Texas-San Antonio all offer online psychology courses in different subjects. Other schools in Texas that offer online classes include Texas Tech University in Lubbock and a number of the schools in the University of Houston System. There are a number of national online psychology schools in Texas as well, including Capella University, Post University, Keiser University and Kaplan University. These schools offer fully online psychology degrees in differing subjects and levels. These aren't the only online psychology degrees in Texas either so check out our school listings for a more expansive and detailed look at online psychology schools in Texas and programs in your area. As one should expect from one of the most populous states in the country, Texas has plenty of employment opportunities for aspiring psychologists. The Lone Star State trails only New York and California when it comes to employing professional psychologists and according to the BLS, in May of 2011, Texas employed nearly 7,000 professional psychologists with more than 6,000 employed as clinical, school, or counseling psychologists. These psychologists earned an average annual wage between $64,260 for clinical, school, and counseling psychologists and $85,580 for industrial-organizational psychologists, proving that not only are there plenty of employment opportunities, but that salaries for psychologists in Texas are competitive as well. Perhaps the best reason to consider Texas as a place to start your psychology career is that employment of the profession in Texas is growing at an astonishing pace. While statistics from most states peg psychologist employment growth between five and ten percent, the Texas Workforce Commission, Labor Market and Career Information Department estimates employment of psychologists in Texas will grow by 21 percent between 2008 and 2018. That is nearly 2,000 additional professional psychologists in the state and could be a result of increased reliance on psychologists to diagnose and treat mental issues as well as companies’ decisions to employ psychologists to make the workforce more organized and effective. Learn more about Texas psychologist license requirements. Some may be surprised to hear that Dallas isn't the only giant city in Texas with a flourishing system of higher education. Houston is actually keeping pace quite nicely and that is also true when it comes to psychology programs and departments in particular. It can be hard for professors of psychology to get a lot of attention because their groundbreaking research often doesn't get a lot of publicity outside of the industry. We are here to change that however. There are many more professors who deserve recognition beyond the 10 that we featured and that is why readers should take a closer look at the faculty of each school individually. Since graduating from the University of Washington with a PhD in Psychology in 1997, Dr. Babcock has worked as a professor at the University of Houston. Those 18 years of service and loyalty should tell you a thing or two about what she means to the department and the school. A clinical psychologist whose research centers around couples therapy, domestic violence and marital therapy, Babcock doesn’t just teach classes, she is also the Co-Director of the on-campus Center for Couples Therapy where she and her staff provide low-cost couples therapy in addition to other couples-related services. She is an accomplished author and researcher whose work has been featured in some of the most prestigious industry journals and if her students’ feelings are any indication, she is also a pretty good teacher. According to students, not only does Dr. Babcock clearly know the material, but she also makes lectures fun. Her students may grumble that her classes can be difficult but they also laud her willingness to make time for their questions and her openness to discuss subjects at length. Oh did we mention that students say she has a wicked sense of humor to boot? We are admittedly a little bit behind in the praise department because Professor Hebl was just awarded the George R. Brown Certificate of Highest Merit, which is pretty much the highest teaching honor that Rice can bestow on a faculty member, but let’s pile on the praise anyway. Hebl got her Bachelor’s degree in Psychology from Smith College, she got her Master’s degree in Psychology from Texas A&M University and she has her PhD in Psychology from Dartmouth. Since finishing her education, all Hebl has done is teach. First at Dartmouth and then from 1998 until today, she has been at Rice where her impact has been...uh...noticeable. Hebl has won seven teaching awards in her time at Rice and these awards are voted on by alumni. She is a member of a half-dozen professional psychologist organizations and is an accomplished author whose research has been published in journals across the industry. But her real impact has been in the classroom where students rave about the way she seems to care about every individual student and makes herself available to anyone and everyone who needs help. Her personality also shines through as she has the ability to make even the most dreary lectures fun and interesting. She also really takes an interest in her students’ long-term success and got plenty of kudos for helping students successfully transition into the real world. The psychology department at Texas Southern University is quite small and so it has its dedicated and knowledgeable faculty to thank for its excellent reputation. One member of that faculty is William A L Clay, III, who draws rave reviews from students for his ability to connect with students on complex subject material and for his easygoing, down to earth demeanor. Clay is armed with three degrees -- Bachelor’s from Rutgers, a Master’s from Howard University and a PhD from Texas A&M University -- and although he is just an associate professor, he is also an accomplished author whose work has appeared in journals all over the industry. He teaches both introductory and graduate classes and students in both classes appreciated his willingness to help, his sharp wit and his attention to detail. A sharp neuroscientist with three degrees in the subject and numerous contacts throughout the industry, Hawley also happens to be nearly universally loved by her students and thus has the perfect blend of professional experience and teaching chops to land her on this list. Hawley has been in the Houston area for some time, having received her Master’s and her PhD in Cognitive Neuroscience from the University of Houston and having taught at her alma mater as well. Her primary interests and specialties revolve around the biology of psychology as well as pharmacology and research techniques. Students say that Hawley’s intelligence and knowledge of the subject material is readily apparent and that she has a knack for making boring lectures fun and interesting. Students also appreciate that she is always urging them to ask questions and gain a deeper understanding of the subject material. It doesn’t hurt that she is always willing to listen and help out however she can. Not to be confused with the nearby flagship university, UHCL is an acclaimed research institution in its own right and ambitious faculty members like Dr. Cheramie are a big reason why. Not only is Cheramie a well-liked and respected instructor but she is also the director of the nationally approved School Psychology program at the university and is an instructor for the school psychology practicum conducted at the on-campus clinic. Not only does she oversee curriculum and development at the program, she also teaches assessment courses, consults with local school districts and is a busy presenter who speaks all over the country. Frankly, there is very little that Dr. Cheramie hasn’t accomplished in her career and she also has three psychology degrees including a PhD in school psychology from the University of Southern Mississippi. Students have come to expect a smart and caring instructor who doesn’t take it easy on any of her students but also shows a true interest in watching her students succeed. She has been at the university since the late 1980s, which shows not only what type of asset she is but also where her loyalty lies in her career. Although he only recently joined the faculty at the UHD, Turner has already made an impact and brings an impressive educational and professional resume with him. Turner has a PhD from Texas A&M and recently completed his postdoctoral fellowship at the prestigious Kennedy Krieger Institute at Johns Hopkins University. He also honed his teaching skills as an Assistant Professor in the Department of Psychiatry at Virginia Commonwealth University. He teaches just a small load of classes as he still gets his feet wet, but students appreciate the energy he brings to class and also love his passion for the subject. He really tries to get the most of his students while they are in class and encourages class participation which makes things more interesting. His primary research interests center around ethnic minority mental health, behavioral health services for children and the development of psychological instruments. He is only just getting started but I’d be willing to bet that UHD is happy to have him. A neuropsychology professor, Fischer-Baum has been studying the subject for almost his entire educational career. After earning his Bachelor’s degree in Neuroscience and Behavior from Columbia University, Fischer-Baum went on to earn a PhD in Cognitive Science from Johns Hopkins University. After a postdoctoral fellowship at the University of Illinois, Fischer-Baum became a professor at Rice where he has already stood out, at least to his students. Recently appointed the head of the Cognitive Science program at the school, Fischer-Baum impresses his students with his sharp wit, his deep and nuanced understanding of the subject material and his incredible patience when it comes to helping students with questions and problems. Fischer-Baum is also an accomplished author whose name is on a number of important studies in the field and he has been asked to speak at a number of conferences and workshops. Needless to say, his star is on the rise and he is a bright mind in the field of Cognitive Science. In terms of enrollment and sheer size, the University of St. Thomas pales in comparison to the state schools it shares the city with. But in terms of academic prestige and reputation, UST more than holds it own. Faculty talent has a part in that reputation and Dr. Jo Anne Meier-Marquis is a shining example of that. Not only does Dr. Meier-Marquis have two graduate degrees (a Master’s degree and a PhD) in Experimental Psychology from SMU, but she is also the Chair of Psychology Director at UST and a talented researcher who specializes in statistical analysis, social psychology, parenting relationships and experimental health. But where she apparently really shines is in the classroom as her students have literally nothing bad to say about her. Not only do they praise her sense of humor and the energy she brings to liven up the classroom. But they also appreciate that the classes aren’t cakewalks and that she demands and brings out the best in students. Many of her students credit her as the inspiration for continuing their psychology studies in graduate school. Anyone good enough to convince people to keep going to school must be quite the educator. Good luck trying to understand Breitmeyer’s research focus without an advanced psychology degree. The Director of the Visual Cognition Lab, a Developmental Psychology Professor and a member of the University of Houston Center for Neuroengineering and Cognitive Science, Breitmeyer is one of the preeminent neuroscientists in the country and is nuanced understanding of even the most complex subject material is pretty darn impressive. A German immigrant, Breitmeyer majored in Mathematics and minored in Psychology at the University of Illinois before getting a graduate degree at Stanford University. Since then, Breitmeyer pretty much only taught at the University of Houston where he has become something of an institution on the Psychology faculty. He is a prolific author who has published dozens of research articles and authored multiple books. His research on motion perception has made him an expert on the subject and his students have noticed. Although some students grumble that Breitmeyer’s lectures can be a bit boring, they can’t help but applaud his obvious brilliance in the subject and appreciate his dry wit as well. His tests are considered thorough and thought-provoking and students also admit that Breitmeyer is almost always available for questions and welcomes discussion. A graduate of the University of Florida with a doctoral degree in Psychology, Lerman fills a pivotal role at UCHL as she not only teaches classes, she also coordinates a master’s program in behavior analysis and serves as Director of the UHCL Center for Autism and Developmental Disabilities. Her skills as a researcher and psychologist are unassailable as she has not only published more than 50 research articles and served as editor for a number of industry journals, but she has also won multiple awards for her research work and was named a Fellow of the Association for Behavior Analysis-International in 2008. She is also a terrific educator according to her students who say that her interest in their success is readily apparent and that she tries very hard to make sure all of her students are engaged in the subject material. They also praise her intelligence, her easygoing personality and her patience when it comes to helping with student issues and concerns.